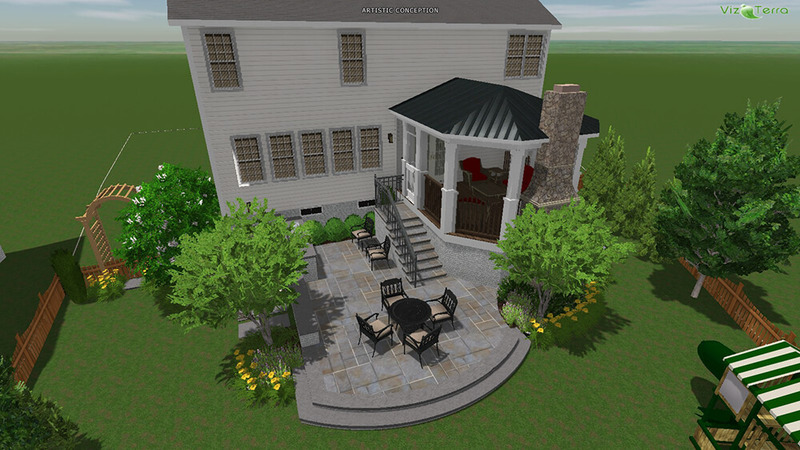 Being able to visually communicate a design’s intent is key to a projects success. 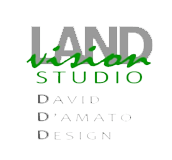 LandVision Studio is a design firm providing both 3D pool and landscape design and virtual 3D imaging services. 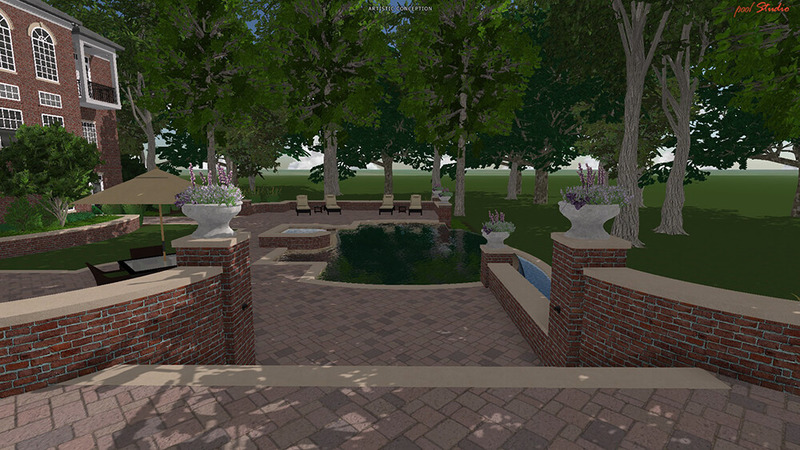 Through the use of computer technology we are able to design and build our projects in the virtual world. 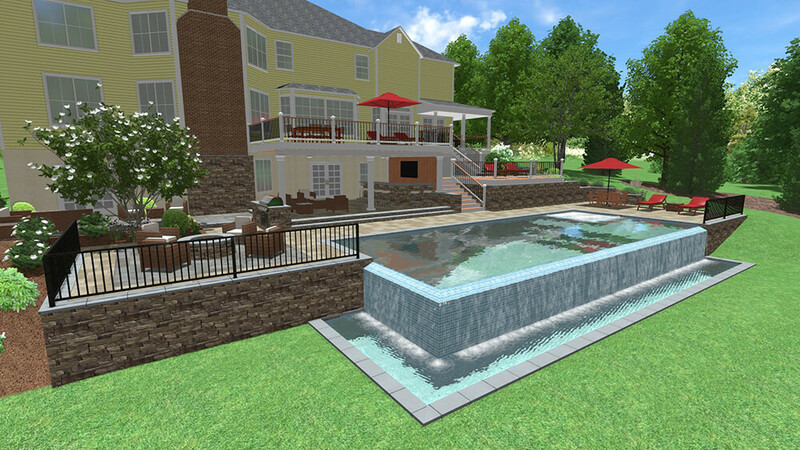 This allows us to assist our clients in visualizing their swimming pool, landscape and site development projects before any construction begins. 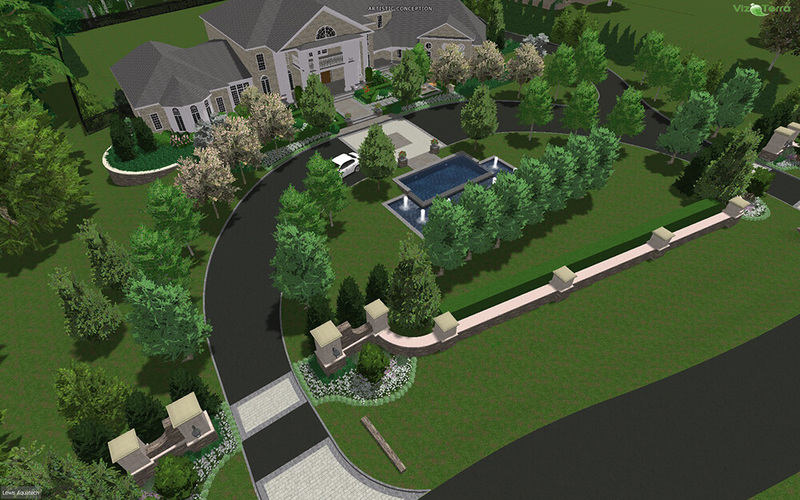 Having the ability to visually explore the project before it’s built assures that the desired outcome is achieved. 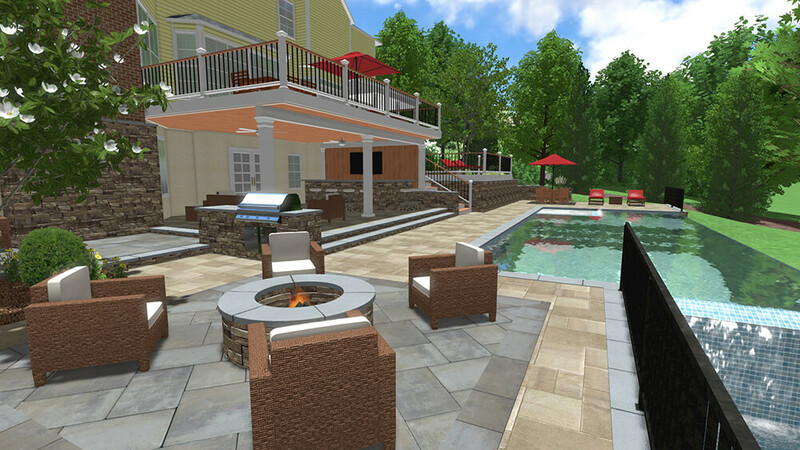 Our clients are always amazed when they see their design presentation as a Virtual 3D walkthrough or as a series of high quality 3D landscape renderings. 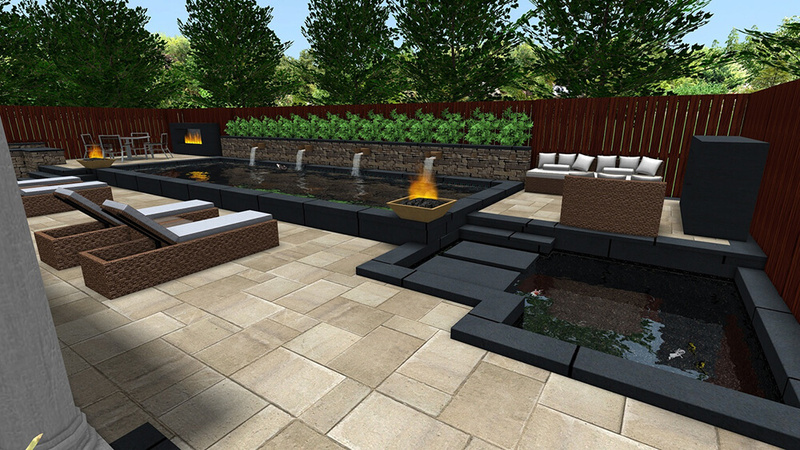 Through the process we are able to explore the design and any alternatives in greater detail. We are able to study how sun and shadow patterns effect the plan. We can compare different material selections and review planting options. 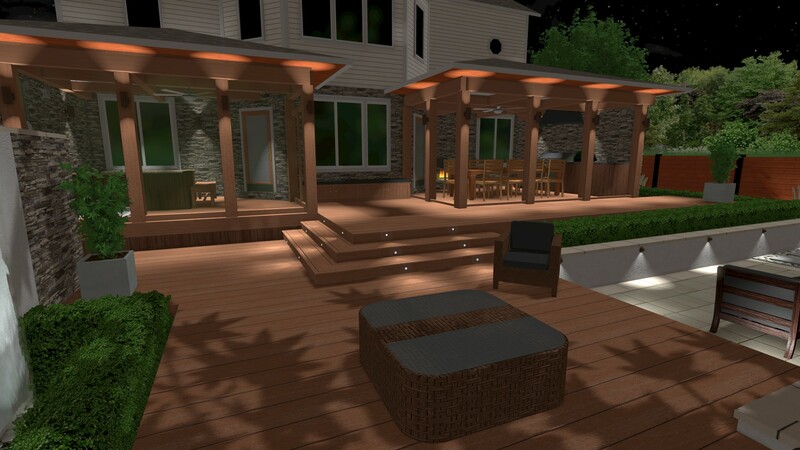 Even the effects of lighting can be modeled in nighttime views. 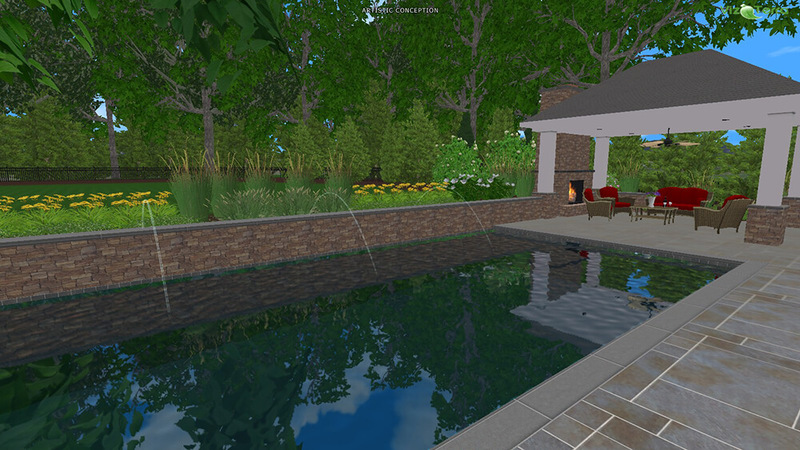 The effective use of technology encourages better design and better design leads to higher quality projects. 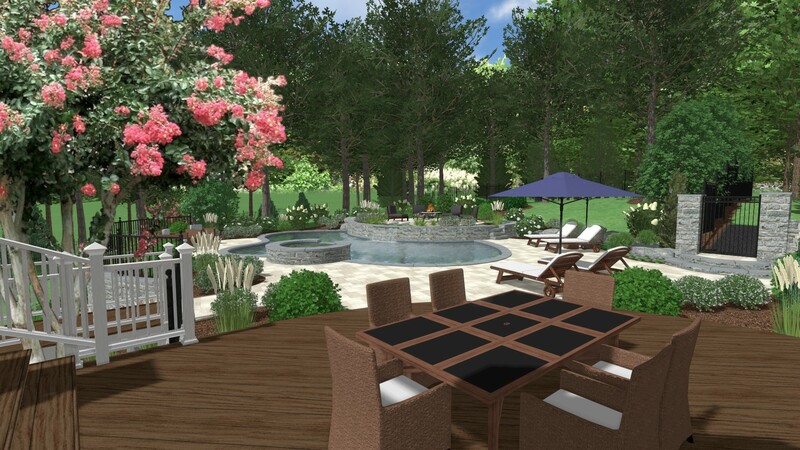 If you are a homeowner with an idea for your backyard design, a landscape designer with an existing landscape plan that you’d like to have modeled, or a contractor in need of some design support – we can help. 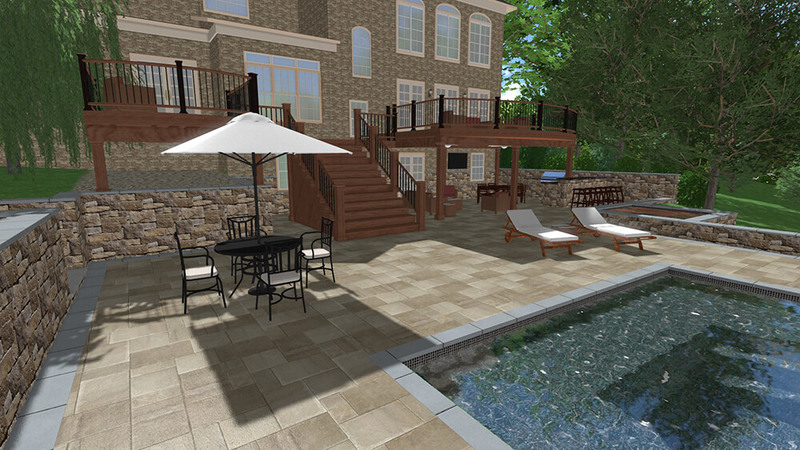 We can provide you with virtual 3D imaging services, preliminary design services and full construction drawings. 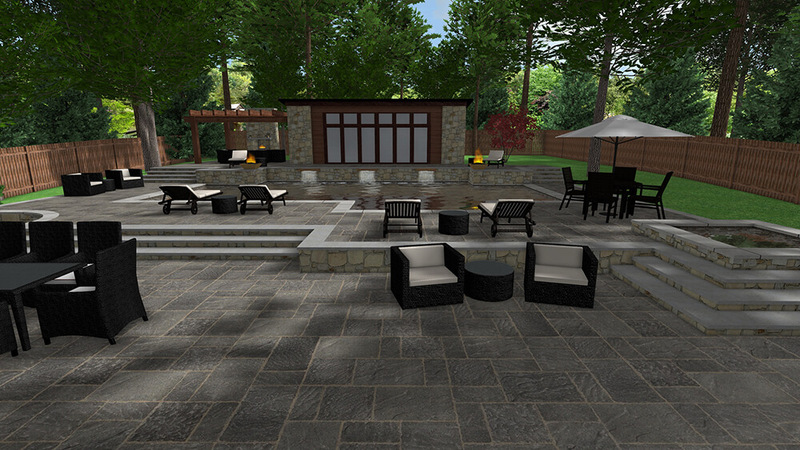 We provide design and consulting services locally, nationally and internationally. Contact us today to learn how we can help you with your next project. 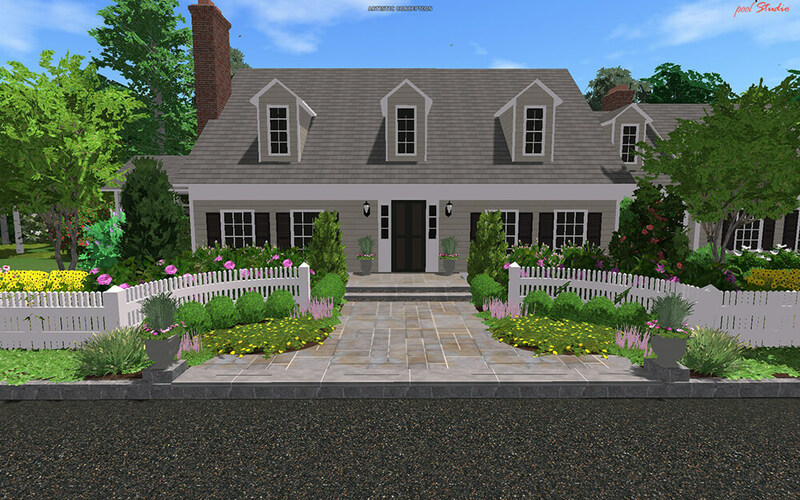 To view more of our 3D landscape designs and virtual walkthroughs please visit our 3D Portfolio or the LandVision YouTube Channel.